Transurban is committed to using technology to improve our road networks and business. We operate in a high-volume transportation and commercial environment that is integral to the movement of people and freight around our cities. Our transport networks handle hundreds of millions of trips annually. To effectively manage these large road networks we have advanced systems and technologies that our partners have developed with our help over many years. Our on-road monitoring and tolling systems include one of the world’s first cashless, multi-lane electronic tolling systems on CityLink, and the use of an innovative variable toll price on the 95 and 495 Express Lanes to provide value for money and a consistent travel speed. Through our major projects we seek to provide solutions to urban transport challenges, and have received infrastructure awards for our innovative and sustainability-driven approaches. We publicly advocate for transport infrastructure funding reform, and share our knowledge through executive speaking opportunities and research studies. We continuously look for ways to enhance the roadside systems and back office technology that operates our roads and our business, and identify innovative future technologies. We are always looking for ways to create efficiencies in our operations that benefit our customers and shareholders. Our electronic tolling and data systems are crucial to managing customer travel and tolling on our networks. This technology includes tolling gantries, roadside sensors, data transmission, data collection and conversion into vehicle trip information used for tolling and customer account management. Since our motorways were developed or acquired over time, they were fitted and operated with different technology platforms, equipment and data systems. In FY15, Transurban continued a program to consolidate these systems with the GLIDe tolling platform being rolled out across the majority of our New South Wales roads. The GLIDe system is now live on the M2, Eastern Distributor, M7 and Lane Cove Tunnel in New South Wales, and CityLink in Melbourne. The system has also been applied to our New South Wales retail tolling brand, Roam. The use of GLIDe across our assets enables greater tolling efficiencies and provides improvements for our customers in the way they interact with us, as well as efficiencies for our customer operations team. In FY15, we completed work to standardise our asset management systems across our networks. A single asset management system that has been used in New South Wales since 2011 was selected and progressively rolled out to each of our assets in FY15 to track the condition and maintenance of our motorways and tolling assets. This approach provides increased visibility on the performance of our assets, and standardised data that will add to our ability to perform data analytics and intelligent monitoring of on road information. Our ability to monitor and analyse data from asset management systems, tolling platform, traffic models, control systems, weather conditions and other real time sources enables us to better understand and predict asset performance, traffic flow, driver behaviour and safety risks. This information can be used to provide safer and more efficient transport networks. In FY15, Transurban launched a new Innovation Grant program to encourage research and innovation among university, research and technology organisations. Grants of up to $100,000 are available to universities and research organisations investigating innovative ideas in transport and infrastructure. In FY15, we reached agreement to provide one grant of $100,000 to the University of Newcastle, and created a pipeline of ideas that we continue to refine with industry and academics with the aim of supporting these projects in the future. 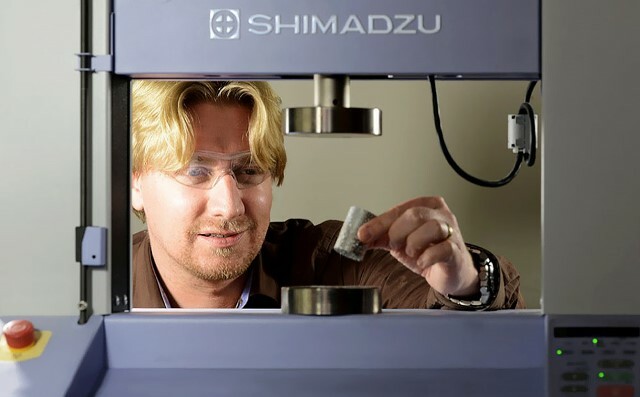 The grant awarded to the University of Newcastle will support a postdoctoral position for research into a metallic foam called aluminium perlite syntactic foam (APSF), a highly energy-absorbent material. With further research, this material may have potential for use in roadside safety barriers, relying on energy absorption to cushion the impact of road accidents. The grant will assist with further research of APSF as well as the development of potential manufacturing processes that would be required to mass produce this material for practical use. This will build upon the research group’s existing research and prototypes, with the aim of developing road safety barrier prototypes towards the end of the grant period. Building on the demand and momentum generated in FY15, we held a workshop in July 2015 with a number of grant applicants to discuss opportunities to collaborate on a range of specific technology and innovation trends within the business. The workshop allowed us to share ideas with research organisations in the hope of finding common areas of expertise to collaborate on. We will continue to work with these groups and other applicants to identify opportunities we can support that serve the transport sector. Underscoring our commitment to innovation and sustainable transportation options, Transurban has partnered with the Virginia Department of Transportation, Department of Motor Vehicles, Virginia Tech Transportation Institute and Nokia, on the Virginia Automated Corridors initiative. With the aim of opening Virginia roads and state-of-the-art test facilities to be used for automated-vehicle testing, certification and development, the initiative will see the testing of self-driving vehicles across more than 70 miles of road in Northern Virginia. As part of this, we will look at opportunities to utilise the 495 and 95 Express Lanes as testing facilities for automated-vehicle developers. The technology solutions will help to demonstrate possible future technologies that could improve safety, reduce congestion and improve the driving experience for our customers. For more information, read Virginia Governor Terry McAuliffe's announcement.